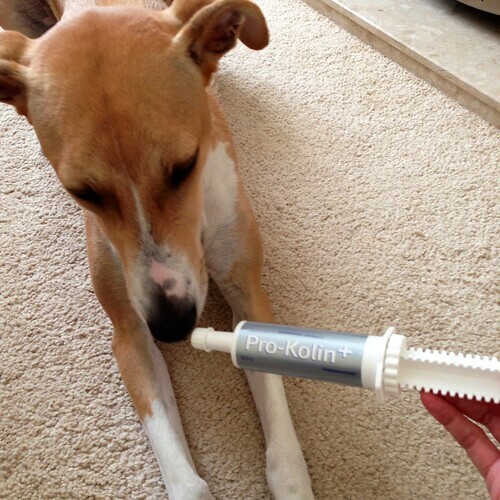 Barley, our rescue Lurcher, has had an upset tummy, so we decided to buy a Protexin Pro-Kolin Plus Syringe, which contains probiotics, prebiotics, kaolin, and pectin. This product has got great reviews on Amazon, so we thought it would do the trick and cure him. It worked! A few days after we started giving the Pro-Kolin to Barley he was as fit as a butchers dog. My only complaint with Protexin Pro-Kolin is the over-designed syringe. Initially the syringe works well, dispensing the contents of the tube easily, but at the end of the course (for Barleys weight it was 5 days) I knew there was one full dose left in the nozzle after the plunger was fully depressed, and the only way to get the substance out was to cut the plastic tube. I had to use a hacksaw to cut the nozzle off to free the remaining dose. It seems a waste not to use the final dose, but having to saw the plastic syringe is ridiculous. 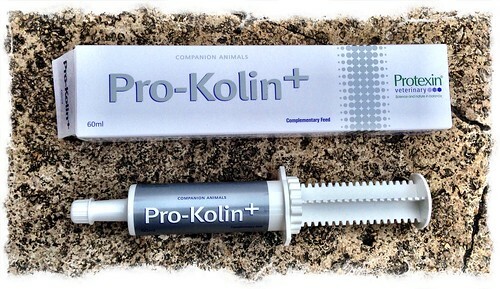 Having said that I am impressed with the Protexin Pro-Kolin Plus Syringe, and Barley is pretty happy with it too – no more poo problems. This entry was posted in Barley the Lurcher and tagged prebiotics, probiotics, Protexin Pro-Kolin on June 30, 2014 by Richard.